Vintage glass cameo, left facing, German, lady cameo, jet gold, glass stone, cameo, vintage. 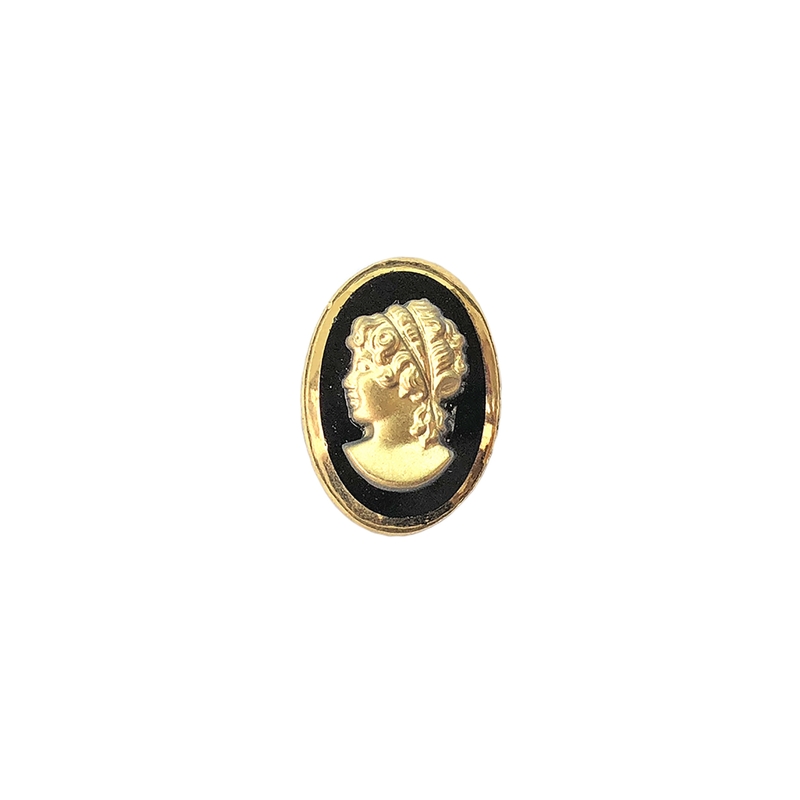 Young Grecian Girl, very beautiful cameo. Measures 18 x 13mm. Sold by the piece.